I’ve just unmoulded this so not cut into slices yet. 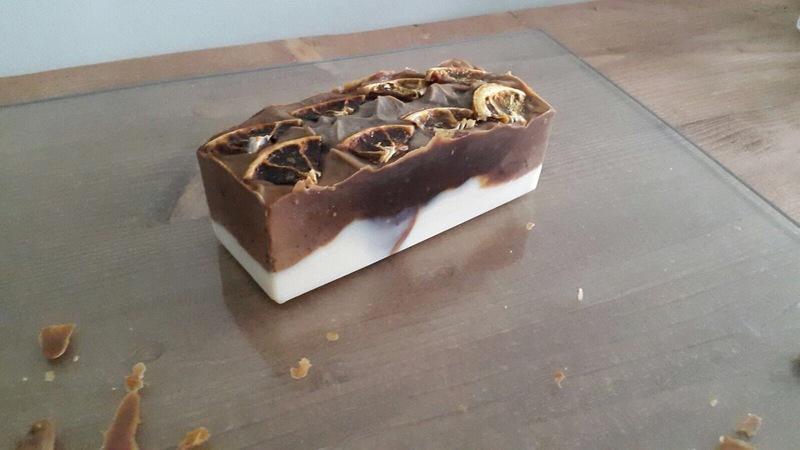 This soap is made with cocoa powder and orange essential oil. This entry was tagged #chocolate, artisan, handmade, orange, Soap. Bookmark the permalink.